Twenty-five years after the first Gulf War, scientists still do not know the exact biological mechanisms that are making about one-third of the 697,000 veterans who served in the war sick. But a new multi-institution study in the journal Neurotoxicology & Teretology, co-authored by a School of Public Health researcher, provides evidence that Gulf War Illness (GWI) stems from neuronal and glial injury affecting both the gray and white matter cells of the brain, and identifies serum autoantibodies that may prove useful as biomarkers of the illness. The research team found “significantly elevated levels” of eight autoantibodies linked to certain central-nervous system cytoskeletal proteins (including tau, tubulin, myelin basic protein and glial fibrillary acidic protein) in a sample group of 20 Gulf War veterans, compared to a control group—a finding that suggests a “possible new avenue” for identifying an objective biomarker of Gulf War Illness. Glial fibrillary acidic protein—a marker of glial astrocyte injury—completely distinguished between the GWI cases and the controls in the study. “These results confirm the presence of neuronal injury/glial activation in these veterans, and are in agreement with the recent reports indicating that 25 years after the war, the health of veterans with GWI is not improving and may be getting worse,” the authors said. 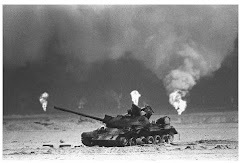 The complex of symptoms known as Gulf War Illness includes memory and attention problems, fatigue, chronic muscle and joint pain, headaches, persistent diarrhea, respiratory difficulties and skin rashes. Past research has shown that exposure to pesticides, the nerve gas agent sarin, and ingestion of pyridostigmine bromide (PB)—prophylactic pills intended to protect troops against the effects of possible nerve gas—are associated with GWI and neurological dysfunction. These so-called “toxic wounds” resulted in damage to veterans’ nervous systems and immune systems, including reduced white and gray matter in veterans’ brains, past studies have shown. Combined with prior findings, the new study indicates that alterations in the brain’s cytoskeletal proteins, as evidenced by circulating autoantibodies, appear to be associated with chronic neuro-inflammation and oxidative stress, which cause the chronic health problems reported by sick veterans. 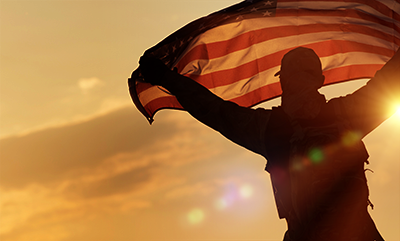 There is no treatment for GWI, and veterans’ advocates have complained that the Department of Veterans Affairs has been reluctant to recognize the illness as a toxicant-induced disorder. The new study found significant increases in the levels of some of the eight autoantibodies among GWI veterans, including a 9.27-fold increase for calcium—calmodulin kinase II (CaMKIII); a six-fold increase for glial fibrillary acidic protein (GFAP); and a 4.83-fold increase in tau protein. 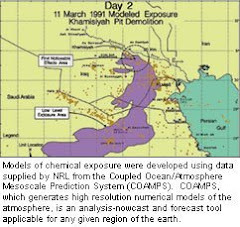 Those elevated levels are consistent with the veterans’ exposure during their deployments to compounds such as pesticides and sarin gas, the research team said. Similar effects have been found in GWI animal models. The study was led by Mohamed Abou-Donia of Duke University Medical Center, with co-authors from: Beth Israel Deaconess Medical Center, Harvard Medical School, Zagazig University in Egypt, and Menoufia University in Egypt. Research to be conducted in collaboration with the Naval Research Laboratory that will examine epigenetic DNA changes in affected veterans to identify “altered gene expression markers”—meaning that protective genes may have been turned off by environmental exposures, causing the chronic health symptoms. Exploring the association between development of GWI and exposure to cholinergic compounds (pesticides and nerve agents) in subgroups of veterans with specific combinations of genotypes that are less able to detoxify these chemicals. The study will be led by Patricia Janulewicz, SPH assistant professor of environmental health. Developing a computerized diagnostic system for GWI using “machine learning” that incorporates multiple biomarker data, in order to generate probability scores at the individual veteran level and gauge potential risks for symptoms of GWI. The study will be led by researcher Bang-bon Koo, a postdoctoral associate in the BU School of Medicine. Using a stem cell biorepository bank to determine whether GW-relevant chemical exposures cause the cytoskeletal protein, tau, in neurons to go awry, and if so, whether the resulting symptoms can be reversed with several FDA-approved medicines. The study will be led by Drexel University investigators.